For her 2016 debut project Finding Foundations: Vol. I, Madison McFerrin found herself in rare air when she showcased her vocal improvisation skills for an a cappella collection of R&B tunes. It's uncommon for a rising star to bypass traditional or digital instrumentation, but given her musical lineage – her grandfather Robert McFerrin was a pioneering African-American opera singer, her dad Bobby McFerrin is an industry icon and her brother Taylor McFerrin is a respected musician – it's not surprising that she chose the road less traveled. Continuing along the accompaniment-free path is her latest project, Finding Foundations Vol. II, scheduled to drop on February 16th. 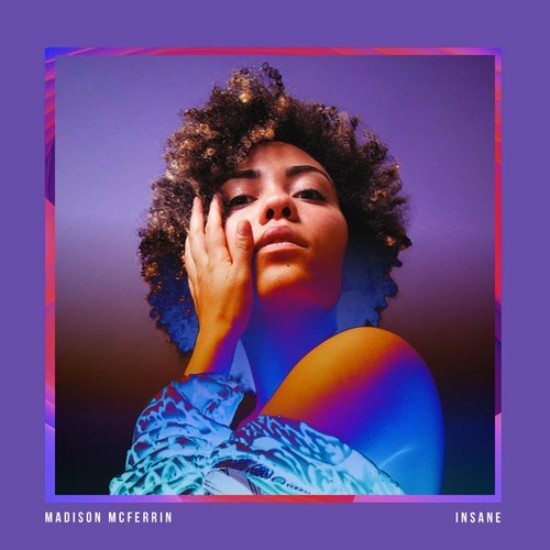 Ahead of the album premiere, and just in time for Valentine's Day, Ms. McFerrin tempts us with her new single "Insane." The titillating ballad is all about passion and desire for a lover separated by distance. "Grasping memories between my hips / Your lips graze against my skin, gracing every inch," she yearns. Over harmonies as clear and crisp as the percussive finger snaps she uses to keep time, her sultry voice is utterly captivating. As for the inspiration behind the tune? Madison recently admitted to Saint Heron, "Clearly I was missing my man,” while snowed in at her parents' house. After listening to "Insane," we're sure once that snow melted that their eventual reunion was explosive. We haven't heard this side of Ms. McFerrin since her "Tantalizing" collabo with ARKTKT, but we're hoping there's more in store on Vol. II. In the meantime, try not to lose your mind over the harmonious allure of "Insane," available for purchase via all digital platforms. Keep up with Madison via her website and catch her live on February 14th at The Peppermint Club in California, plus on the upcoming #LoveYourSelfTour with Anna Wise and Zenizen.